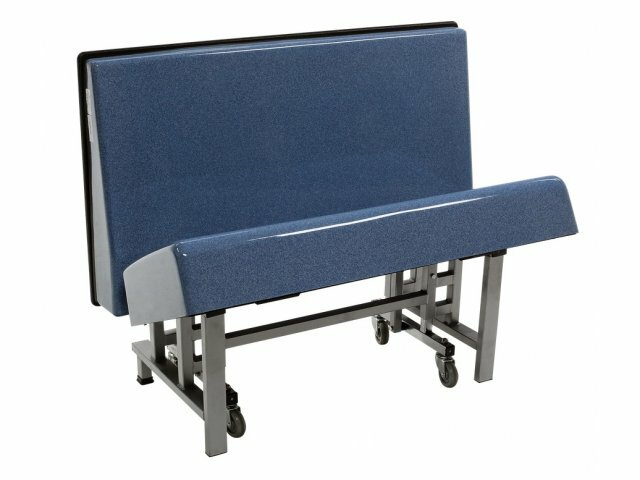 Let your students sit back and relax at lunchtime with this stylish booth seating. Unlike traditional, stiff cafeteria furniture, this flexible, attractive piece can make lunchtime the best part of the day. 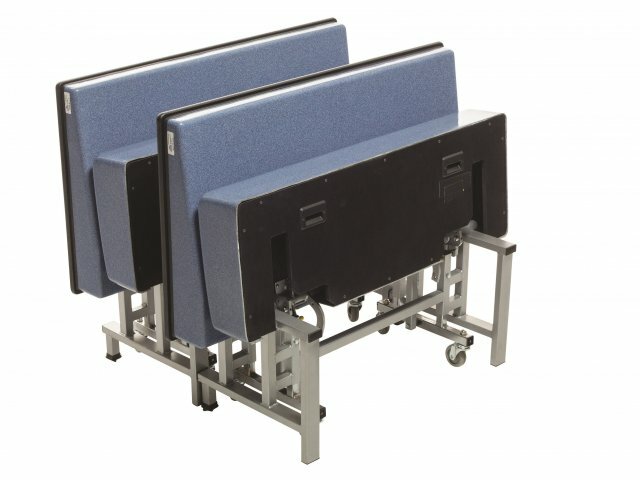 Mobile Folding Booth Seating from AmTab is comfortable, convenient, and classy. The fiberglass seat and back come in a choice of sleek colors that can be coordinated with your eating space. When the booth is in the open position, the wheels completely lift off the ground and all four legs have complete contact with the floor. DynaGrip glides ensure complete stability, and an E-Z Grip Positive Plunger locking system ensures that the seat remains perfectly positioned. 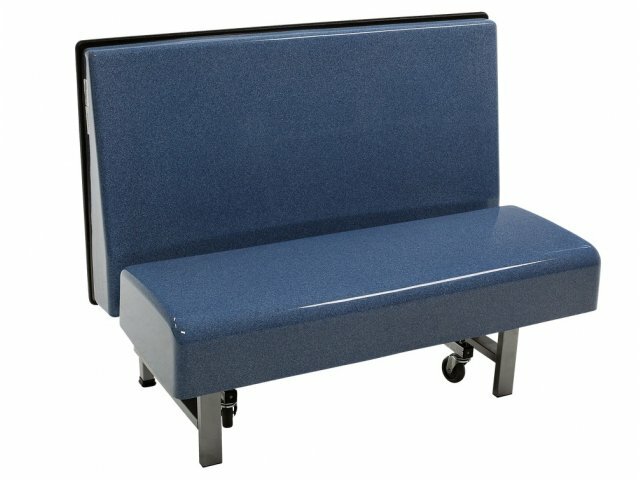 This booth seating is stable when open, yet simple to move when folded. The High Speed Gas Cylinder Assist mechanism ensures that the booth opens and folds smoothly, for many years of flexibility. 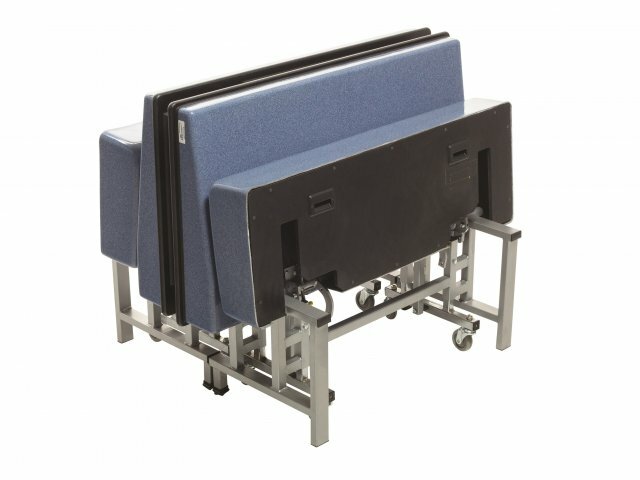 In the folded position, the table rolls on double ball-bearing swivel casters, which glide it smoothly into and out of storage. 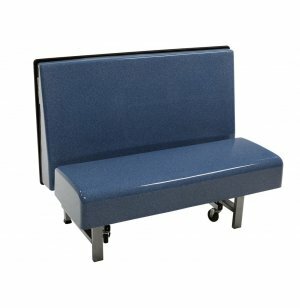 With two original patents, this booth seating will make an innovative addition to your cafeteria or dining area.